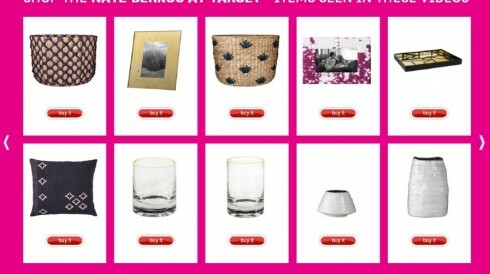 US retailer Target has invested in product placement in an episode of TBS comedy series Cougar Town. The moment each of the 25 products appeared on television screens during broadcast, viewers could buy them on their second screen devices. Viewers could stream a synced version of the show, as they watched it on TV, to see flashing red icons on products such as vases, picture frames, pillows and rugs. They could then click to be taken to Target.com where they could buy the item directly from a smartphone, tablet or computer. Clicking to shop paused the video. Household decor and accessories from Target’s Nate Berkus line were featured in the show, which is popular among 18- to 49-year-old women. The full version of the episode – complete with flashing icons – remained online until 15 April at TBS.com/Target. In a subplot of the episode, the character of Laurie (Busy Philipps) visits Target to redecorate her condo, and then quarrels with Travis (Dan Byrd), over how to arrange the items. Intelligent partnership: In 2012, Target invested in shoppable videos for the first time with a four-episode romantic comedy, Falling For You. However, insufficient seeding meant that this high-quality, original content remained quite hidden, apart from to Target’s 22 million-strong Facebook fan base where the first episode attracted 35,000 Likes. By partnering with Cougar Town, which regularly attracts audiences of 2.8 million, it’s ensuring massive reach among a (largely female) audience, which matches that of its own brand. 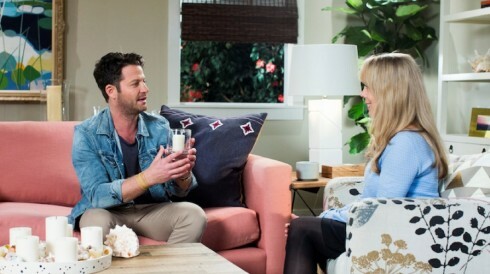 Nate Berkus, whose designs are down-to-earth but with splashes of colour, also fits this broad audience. Inspiring TV: Target is tapping into existing behaviour here: when it comes to refreshing the look of their house, people use TV as a source of inspiration. Whether it’s a set on a drama/comedy show like Cougar Town, or a home improvement show, being able to see items in situ helps viewers to visualise how their environment could be improved with the addition of a few colourful accessories. As seen on… There’s a rise in products being demonstrated in credible environments. We recently reported on fashion etailer ASOS’s platform As Seen On Me, which invited people to upload images of themselves wearing ASOS gear. This is a departure from the original remit of ASOS which, when it first started out in 2000, aimed to offer people the clothes they’d seen celebrities wearing (ASOS stood for ‘as seen on screen’). Better mechanic required Despite being a highly plausible partnership, the one thing that lets it down is the clunky mechanic of the flashing red buttons. 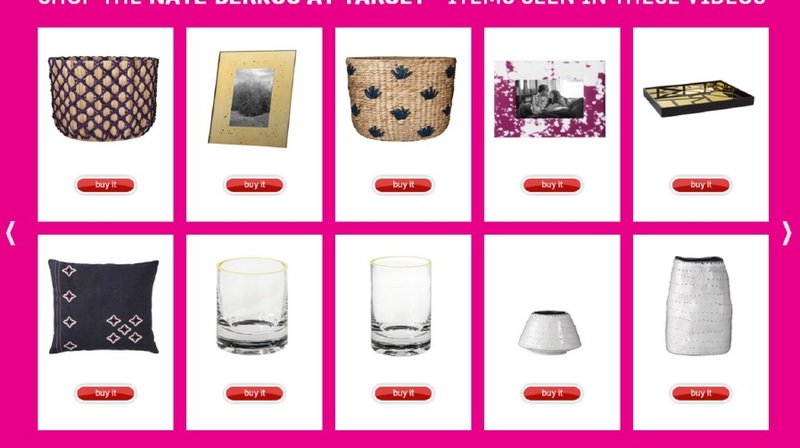 At one point in the broadcast, five icons were flashing simultaneously, making it distracting for the viewers who aren’t interested in purchasing items from Target’s latest range. This is the latest in a series of MIPBlog posts from Contagious I/O, a bespoke database of trends, inspiration, insight and analysis, providing daily innovative marketing intelligence across a comprehensive range of sectors to brands and agencies across the world. More information here; and be sure to sign up for the Contagious newsletter here!